The onslaught of cyber-attacks and organized criminals seeking to steal corporate data has put even the most well-defended organizations at risk of suffering a data breach. While organizations shouldn’t give up their efforts to institute preventative IT security controls, they should also steel themselves to the all-too-real possibility of suffering a breach at the hands of clever attackers. 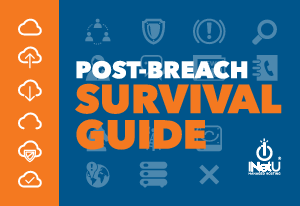 Putting together an effective post-breach response plan can greatly reduce the costs and damage to the business inflicted by a breach. The following guide can help organizations get started.